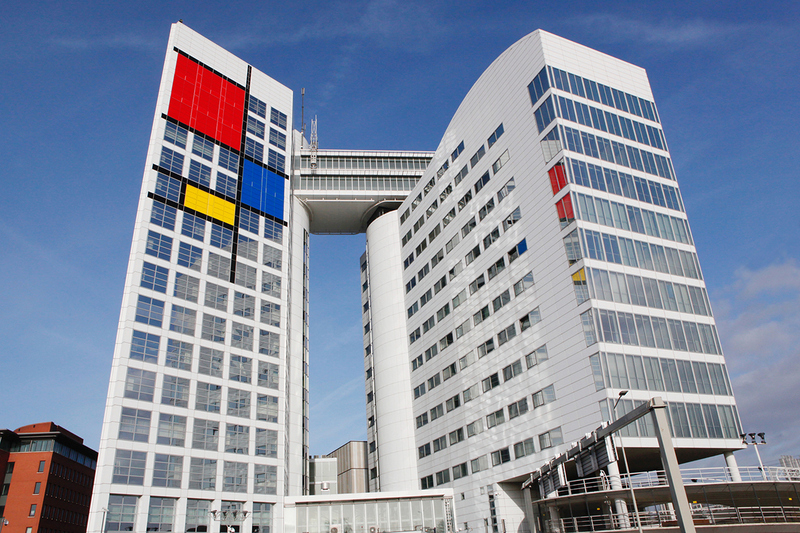 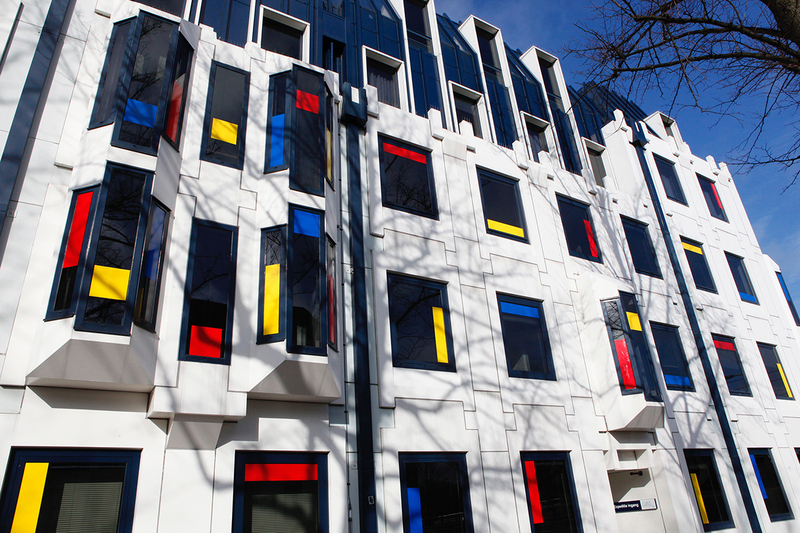 Dutch art movement De Stijl was founded one hundred years ago this year. 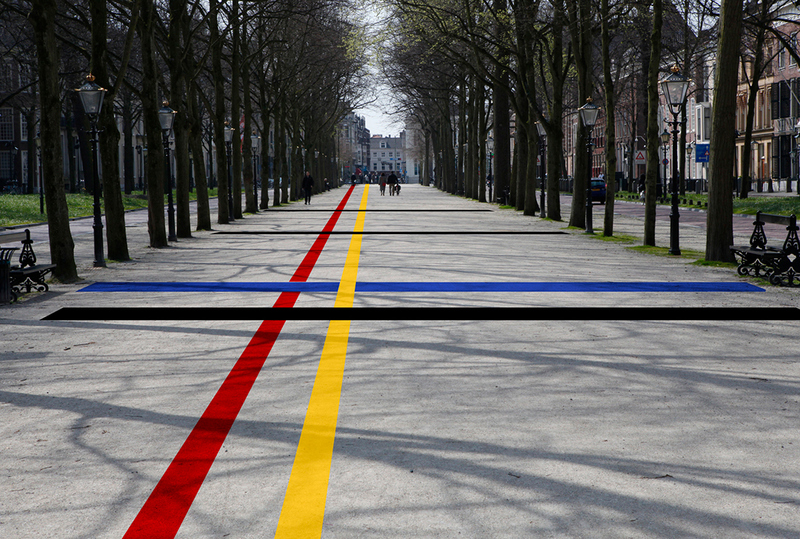 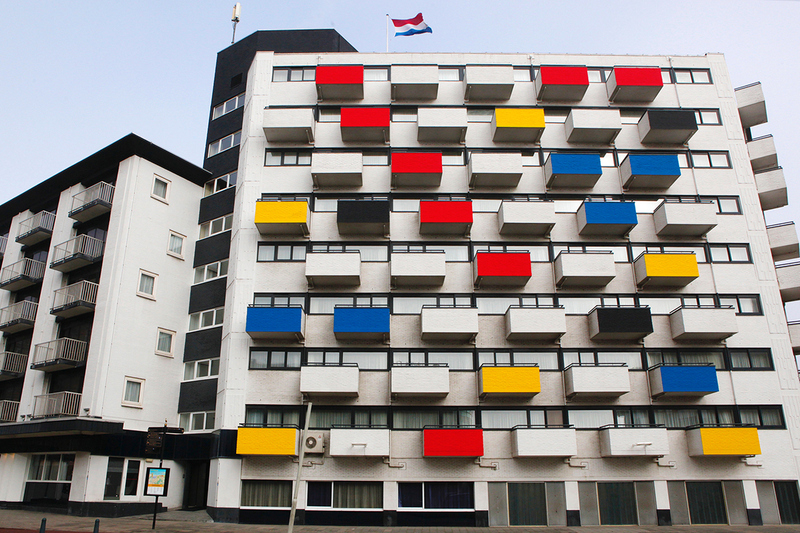 Inspired by Stijl artist like Piet Mondriaan, Bart van der Leck, Gerrit Rietveld and Theo van Doesburg, studio VOLLAERSZWART developed this citydressing campaign to "Mondriaanising" The Hague. 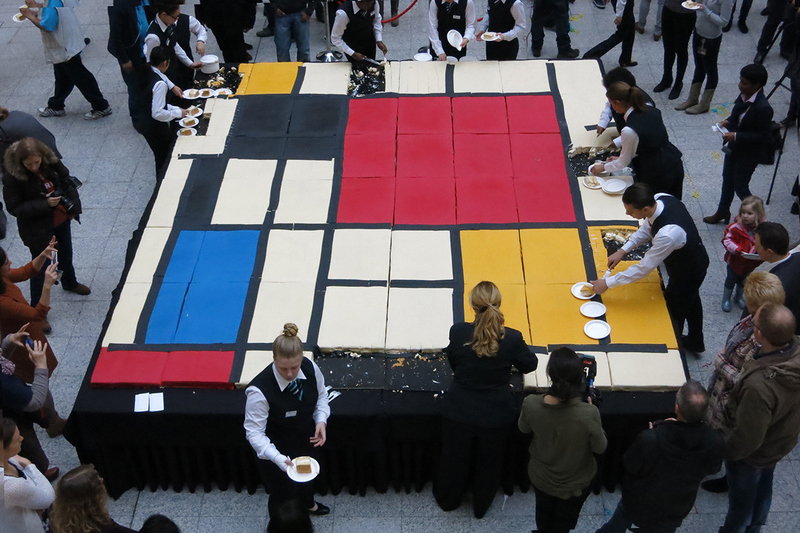 To start the citydressing for the celebration of the theme year "Mondriaan To Dutch Design, The Hague unveiled the largest Mondriaan in the world. 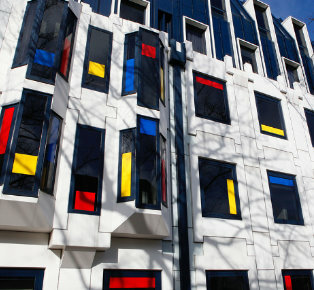 The painting with the familiar red, yellow and blue surfaces and straight lines is being exhibited in one of the city’s most striking buildings: City Hall. 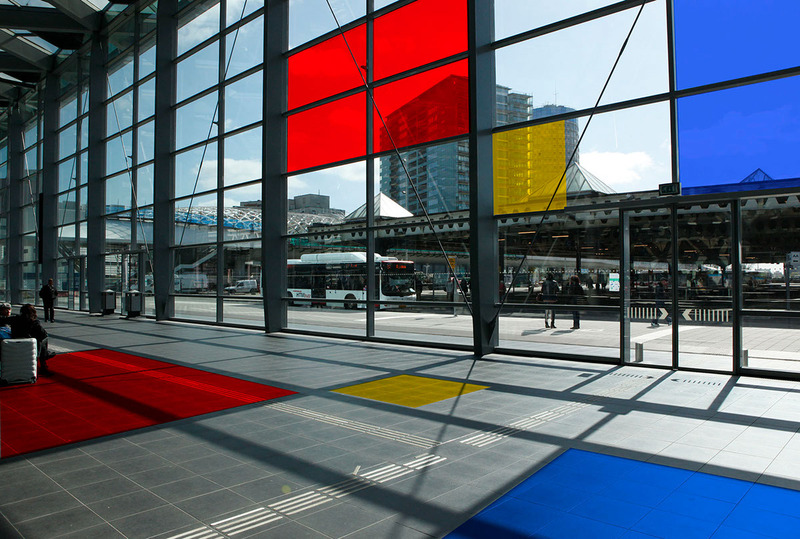 A unique composition, precisely because of the combination of Mondriaan’s work and the iconic architecture of architect Richard Meier. 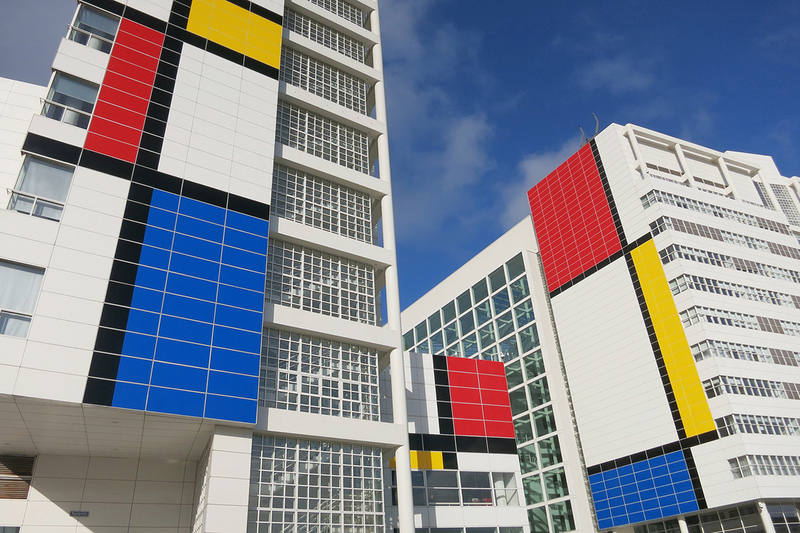 The Hague City Council decided to honour the world renowned artist, as Gemeentemuseum The Hague has no less than 300 of his paintings in its possession. 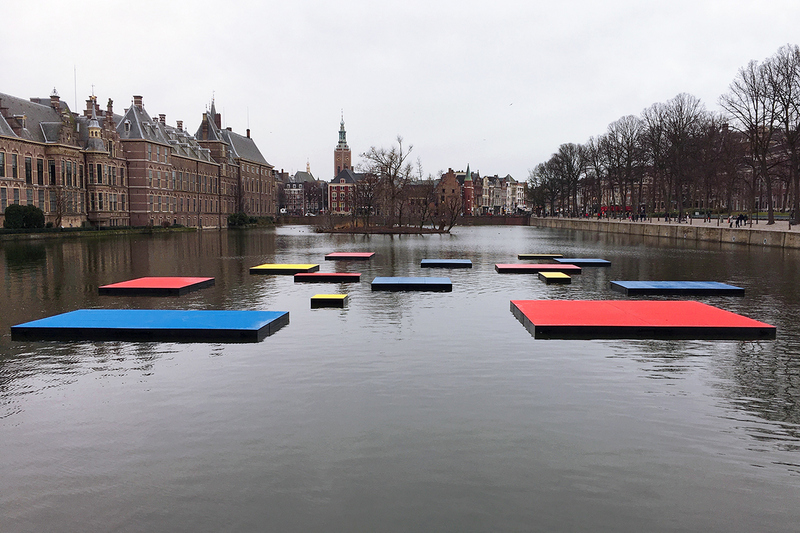 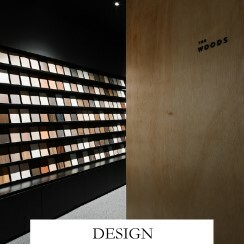 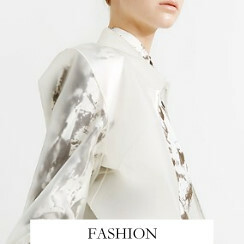 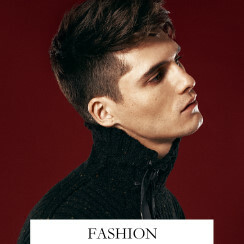 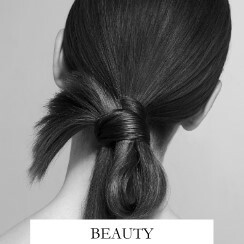 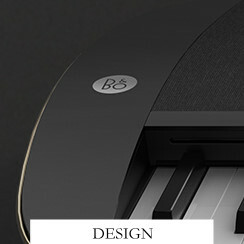 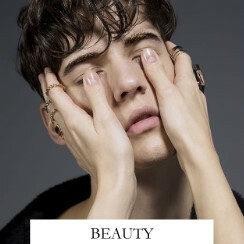 The design was created by artists Madje Vollaers and Pascal Zwart of Studio VOLLAERSZWART. 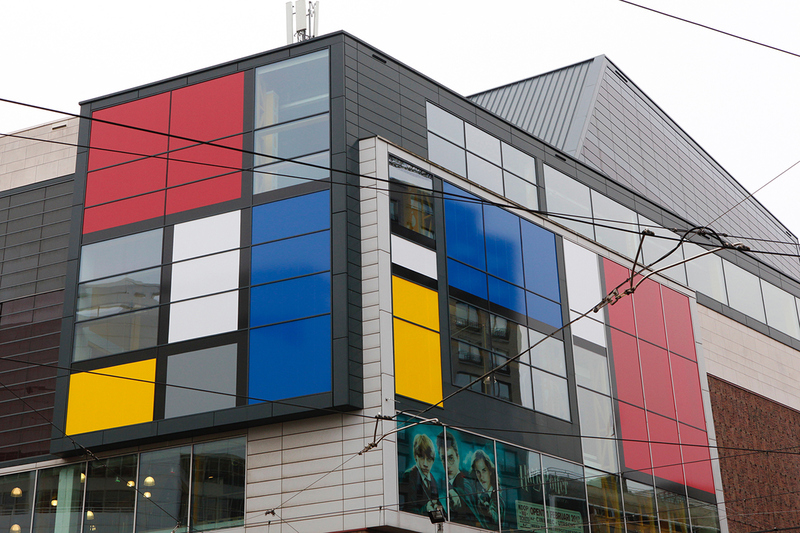 Last weeks, a number of prominent buildings and locations in The Hague have undergone a Mondriaan metamorphosis.